HEARTS is an indigenous registered charitable organisation established by a group of committed citizens from various fields with a strong desire to uplift abandoned, runaway and destitute children. Despite the UN Convention on Child Rights and various policies of member countries and their Acts, the problem of street children looms large, worsening day by day. 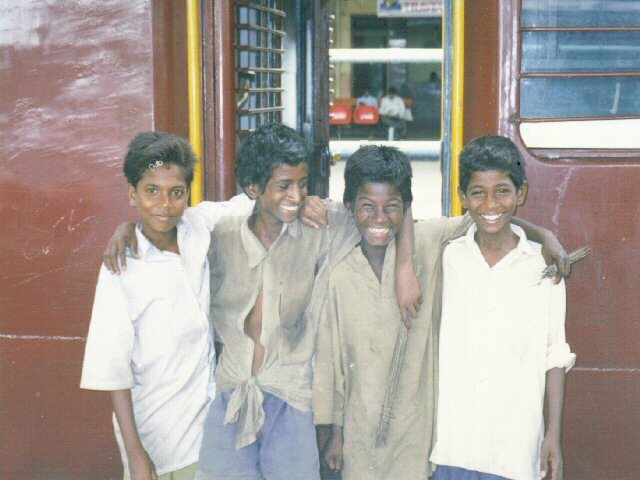 Street children congregate mostly at railway stations and bus terminals where they have a place of shelter and can beg for their livelihood. Also children prefer railway stations where free travel is possible. 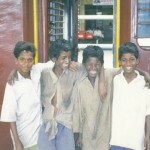 Railway platform children in India have made railway stations their home, a place of living, eating and sleeping. They live in a situation where there is no protection, supervision or direction from responsible adults. 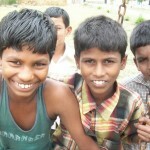 The main reasons these children leave their homes include poverty, lack of love, alcoholic parents and family disputes. The main problems they face as street children are lack of food, shelter, harassment from antisocial elements, police, drug abuse, etc. Hence it is essential to rescue these children who are in the utmost danger. 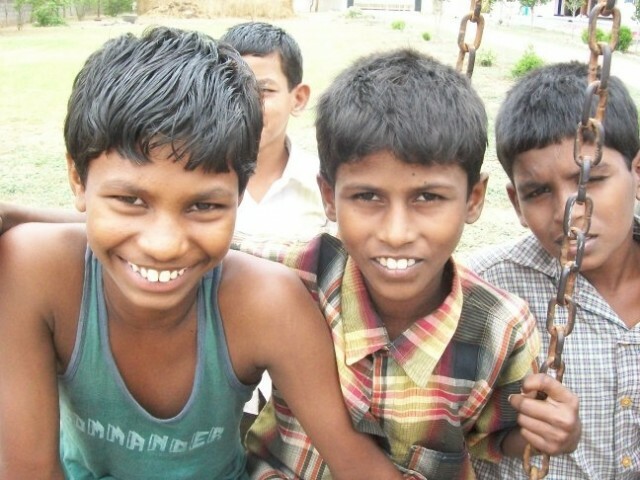 They have no access to education and information to help them grow as normal, healthy and happy children. Begging is their first occupation for survival. In addition to struggling for food, street children are not bothered about dress, health care, washing, bathing, etc. 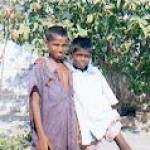 Because of their lifestyle they have a very poor health condition. There is no one to care for them in times of emergency or illness. They have no savings to pay for medicines and doctors fees. When injured they leave wounds unattended. Thus they learn to live with diseases. Children who left home for relief might in fact face abuse, harassment, exploitation and deprivation. They often undergo oppression from officials or older boys and their behaviour often becomes submissive. With such abnormal situations their lives are slowly destroyed. The experience of this boy, Tangavelue, illustrates the severe problems that street children face. This boy was beaten by a ticket collector when he tried to enter a train carriage. HEARTS director, Mohan Rao made a complaint to the station inspector and sought to trace the offending person. The next day a sub-inspector from the Railway Police brought 11 children to HEARTS requesting that they be taken care of by the organisation. HEARTS is now working in close association with this official to help children who arrive at Guntur station. To provide need based services for their growth and development. To offer facilities for literacy, numeracy and life education. 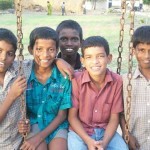 To arrange facilities for vocational training for better living. To improve the children’s self respect, self confidence, voting opportunities and dignity through the provision of love, care, concern and friendship. 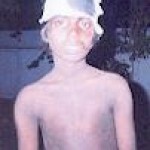 A terrible accident occured at midnight on 23rd September 2002 in Guntur railway station. Chandu, a 12 year old boy, fell from a moving train and lost his right hand and seriously damaged his right leg. He was taken to hospital by some of the other street children and HEARTS staff were informed of the accident. HEARTS immediately took steps to arrange blood and medicines for him. He was operated on and put in plasters for several days. His mother was then called to stay with him. He is seen here with HEARTS director, Mohan Rao Dasari. 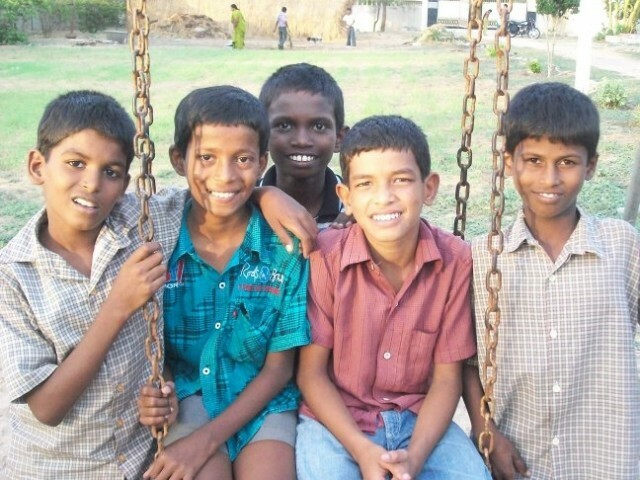 Initially HEARTS operated from lock-up garages situated near the Guntur railway station, but now has a home for street children and orphans with better facilities for education and accommodation.